I checked that he was otherwise in good health - temperature was OK, he wasn't in pain anywhere else, and gave him a small hot water bottle to hold against his ear and some paracetamol suspension. Once he was wrapped up in bed, he was OK until the morning. 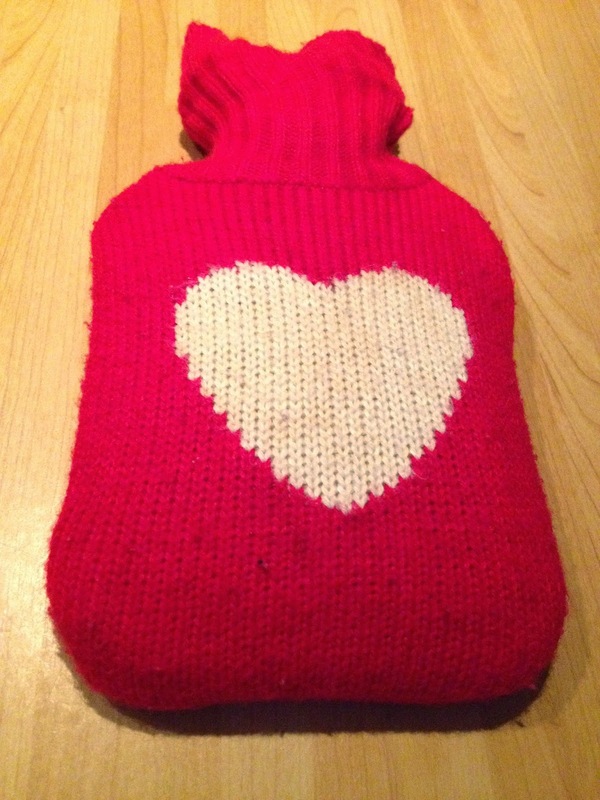 We have a special, small hot water bottle, which is a perfect size for holding against a poorly ear. On saturday, we ditched our plans to go out - to football practice and on to a good friend's party - and opted to stay in the warm and rest up. Earaches are common in children because the distance between the ears, nose and throat is much smaller than in an adult, which makes them more prone to ear infections than adults. dose them up with pain relief such as paracetamol or ibuprofen. While paracetamol is great for reducing a fever, ibuprofen's strength is that it is an anti-inflammatory, so if there is any swelling in the ear, it's great for reducing it down. If there is no improvement in the earache after 48 hours or if the earache is accompanied by a high temperature or symptoms such as dizziness, severe headache or swelling around the ear, then you should call your GP or the local NHS out-of-hours provision. By Sunday, E was greatly improved. I had been worried that he may not be up for playing in his football match and was even contemplating putting a drop of olive oil on a piece of cotton wool and putting it in his ear while he played. A word of caution though - you should not put anything in a child's ear if you suspect that the ear drum may have perforated or burst, which can happen as part of the natural cycle of an ear infection. However, although he was intermittently complaining of pain, he was lively enough to manage to play in the match and score a goal. It's a good job he wasn't supposed to be swimming this weekend as getting an ear affected with infection wet is not advised. When we got home, I gave him a little more pain relief and sat him on the sofa to rest with another hot water bottle and by that night he was right as rain and ready for school this morning. I must remind him to be ill on the weekend again, so he doesn't miss any school! DISCLAIMER: I am not a medical professional and this information is based purely on my personal experience. If you have any health concerns at all, please contact a qualified medical practitioner. Further information about earache can be found on the NHS Choices website.